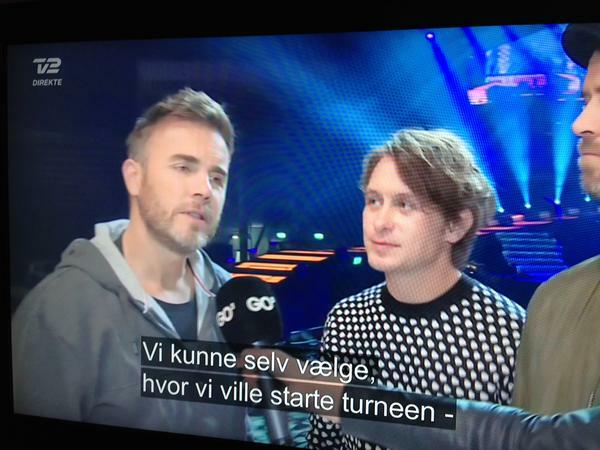 Mark Owen was the first in the tube. - Hey, this is Mark. How has Denmark today? Ok but what about London? - It's a little gray in it, but it's very nice. We are in good spirits. 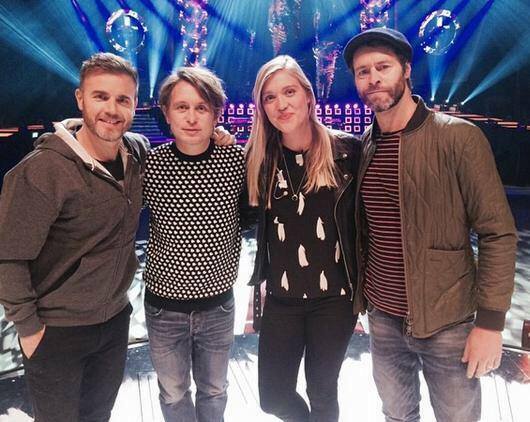 How is it to be Take That at the moment? - Honestly, it's pretty exciting. We write all the time new music and is already working on the next album, and so we welcome the whole game to come to Europe to play again. It's four or five years ago, the last time we were on tour, so it feels a bit like a new start. - Am I boring to listen to? Record label man laughs and says that Mark has time to answer a final question. You mention a new album. Do you have a title in place? - No not yet. We usually do not really plan that far into the future, but this time we take our time and has put a greater level, so it's pretty cool. 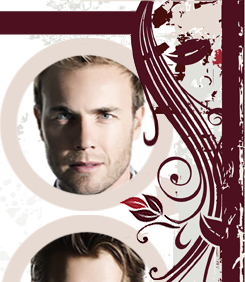 Gary Barlow takes over the phone from Mark. Hello. How have your fans reacted to that in only three now? - We were actually quite worried about how they would react. When Jason would not be more, we would like to continue as a trio, but we would not say anything until we had the fans' reaction. Luckily comment fields filled with positive responses. Was it hard to make the show on, fit the three? - I should say yes, but nay. We've got a whole new team, so instead of falling back into old routines, we should be alert. 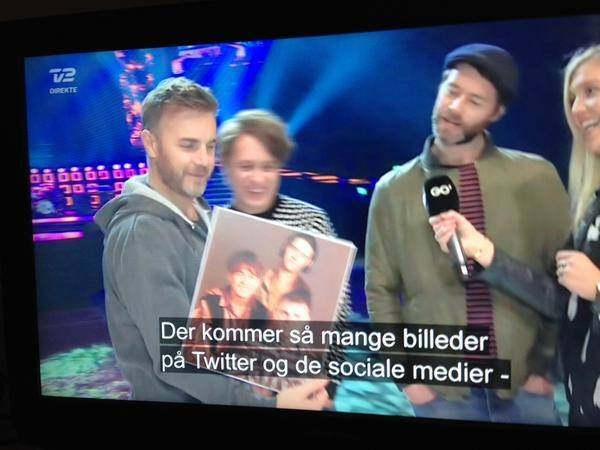 Take That are busy, so the record company man interrupts again and says that Gary has time for one more question before Howard Donald takes. You have appeared to a few weddings recently. What will it take for you to do it in Denmark? Howard Donald eventually get the phone. What is the plan for your Denmark visits? - We do that all tourists: Taking in Tivoli, haha. Not, we have to play far from Copenhagen, so I'll probably never shopped as much as I used to. I'm crazy about your thrift shops and designer furniture. The furniture is unfortunately too expensive. 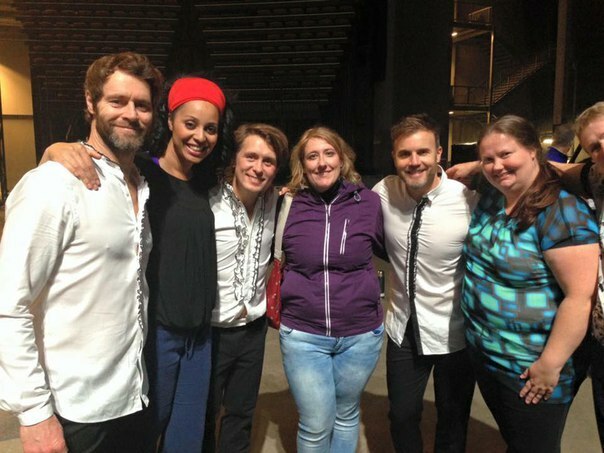 Take That have been in the time in over twenty years. One thing is screaming teenagers. How is it now to meet screaming adults? - I do not think they scream so loud more. Now they come with their whole family, and it's actually fine. So the audience is a little more mixed and diffused his music and love to many more. If you had to choose a new member of Take That? - Justin Timberlake would be cool. He both sings and dances well and will give us a lot of street respect. But he'll probably say no, haha. 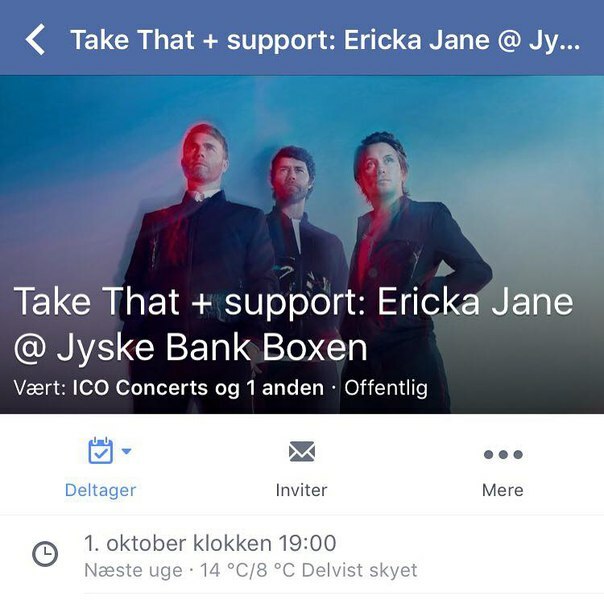 Can you promise that you are still three when playing in Herning on October 1? - I promise, we are three the rest of the year. Maybe we will be more in the future, but we are certainly not fewer now.